Creating your perfect home takes a lot of thought and work to get the desired results. Artisan Property Services in Windsor works closely with every customer ensuring we get a clear idea of what each individual wants out of their living space enabling us to execute our building plans with precision while keeping within promised timescales. Creating your perfect home takes a lot of thought and work to get the desired results. Artisan Property Services in Windsor works closely with every customer ensuring we get a clear idea of what each individual wants out of their living space enabling us to execute our building plans with precision while keeping within promised timescales. 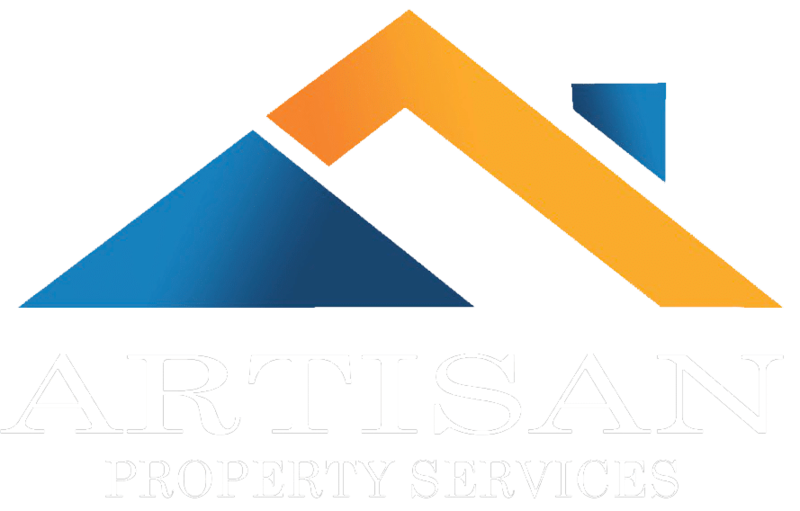 At Artisan Property Services we offer a wide range of services to maintain and improve your property. No matter how big or small, we support clients in Windsor and throughout the Thames Valley. From painting to wallpapering, kitchens to bathrooms or simple handyman services in your home or commercial property, we can tailor our service to your individual needs. We work with clients in and around Windsor and throughout the Thames Valley, and are here to take that stressful project off your hands. We are reasonably priced, and are a highly motivated team with experience in painting, decorating, kitchen fitting, bathroom fitting, landscaping and plastering. We have repaired external sash window frames and have fitted whole bathrooms -we’ve even assembled flat pack furniture. We pride ourselves on our great service and would love to hear from you about your next project. The vast majority of our building work in Windsor naturally comes from our domestic property clients and we would love to be involved in your project. 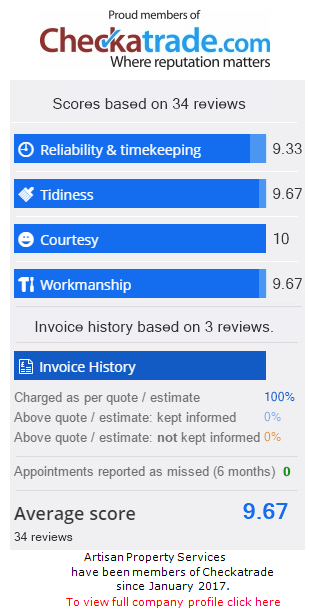 We take a huge amount of pride in our work and as such our customers feedback is of paramount importance to us- thats why we’re member of Checkatrade.com – so you can have your say too. We provide free quotes with no obligation to contract, ensuring you a risk, pressure and worry free experience developing your property. Artisan have been working on and in commercial business properties in Windsor and Thames Valley for many years now. Whether you need some general repairs and maintenance or you would like to improve your image to your customers, we can help. Office refurbishments and office repair need not be an interruptive task with Artisan. Contact us and see how we can help improve the image of your business. Artisan are no strangers to working with letting agents and property landlords in Windsor. We carry out many repairs, general property servicing, post tenancy redecorations and much more. We have the professionalism to liaise with both landlords and tenants and proudly boast the skills to help maintain landlords properties to the highest standards, ensuring their tenants are comfortable and happy in their new home. We work with one of Windsor’s leading letting agencies so contact us to see how we can be of benefit to you too. Maintaining a good reputation matters more than anything to us. That’s why we only employ qualified, local tradesmen in Windsor and Thames Valley with the knowledge and practical skills to get your job done right. Every building job we complete in Windsor is our portfolio to boast about. So we believe that if a job is worth doing its worth doing well. That’s why we quality check each job with our customers for ultimate satisfaction. We're builders local to Windsor and we are available at the worst of times. Our Windsor and Thames Valley team are on call for those jobs that require a quick turnaround. Discuss your building work and timescale with us and we’ll give honest advice on realistic work completion times. It's not in our best interest to price ourselves out of the building maintenance market in Windsor or Thames Valley. We are an honest team built on a great reputation who believe in making it fair for customer and the respective building trades alike. We offer a range of affordable packages to suit your project. Whether it's repairing a small crack above the architraves, repointing some brickwork or painting the house inside and out, there really is no job too big or small for Artisan Property Services. We're fully equipped and ready with our vans moving around Windsor. We have stayed in touch with the majority of our customers post building or maintenance work completion. We try and get to know each and every client the best we can (usually over a cup of tea!) in order to gain mutual trust. Reputation is of the utmost importance to us and we want to know what you have to say. That's why we're members of Checkatrade. There's no job too small for Artisan Property Services in Windsor. We're specialists in period property with over 23 years of combined property management experience in many areas of property maintenance, from painting and decorating, kitchen fitting, bathroom fitting and garden landscaping, to commercial maintenance and letting agency property management services. Take a look at our full range of services or get in touch to see if we can help you. Copyright © 2019 Artisan Property Services Ltd. All rights reserved. DESIGNED By JJBACCHUS.COm * Proudly Powered By ELITE WEB Co.